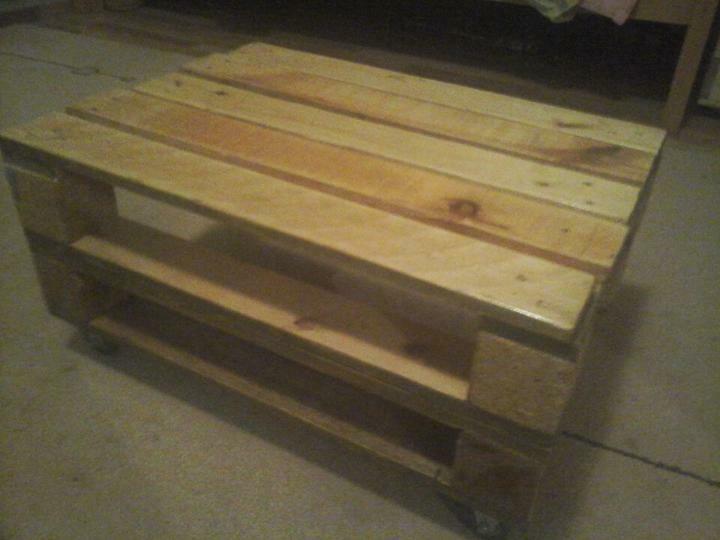 There are always awesome pallet furniture pieces all around us but one can only access them through enough money in the pockets! There are so many different and stylish to choose from and they are come on sky high prices or rates so that it becomes really a difficult to keep up with those inflated market furniture prizes! A pallet coffee table is one of those furniture pieces that can take a big of your budget but it is also a crucial one to gain an enjoyable sitting! So how to approach such a useful coffee table designs on friendlier amounts of budget! 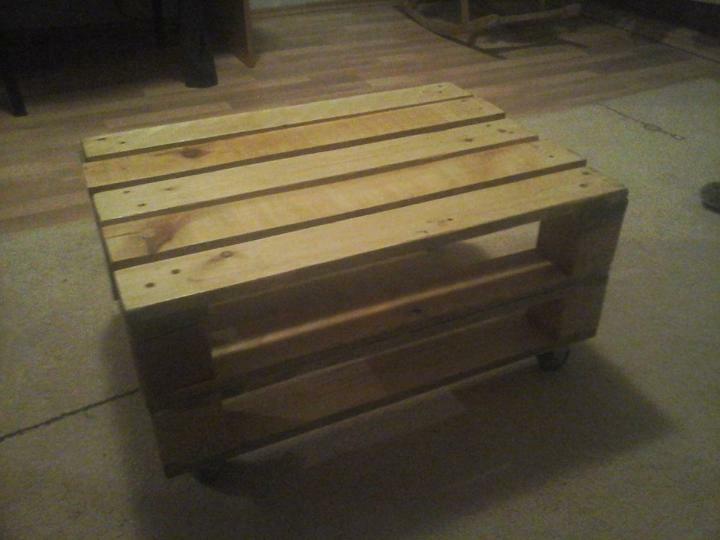 Just put your worries and financial crises aside and build this free of cost DIY wood pallet coffee table using some of miniature pallet skids! Pallets are easy to approach and are free and hopefully would always be! Just load two or more pallet skids on one another and let a storage friendly coffee table come to your home, add legs or wheels at the bottom to move the bulky table weight easily and enjoy! There are some size of pallets that are exactly equal to those of table tops, the same kind of pallets has been stacked here to construct this rustic yet beautiful coffee table! User gets inside shelving space as a bonus due to stacking of pallets that really welcomes the secured storage of your books, magazines, newspaper and even the mobile phones, keychains and TV remotes! To avoid collapsing or to hold the pallet in a fixed place, one can use the steel plates and can drill some screws in to give a perfect joint at each corner! It would be better to apply the steel plates on chocks of pallets which are thicker enough that there would be much less danger of wood breakage! Table comes on wheels that just move it smooth to any direction and also accentuated the overall wood medium with their metal and industrial touch!